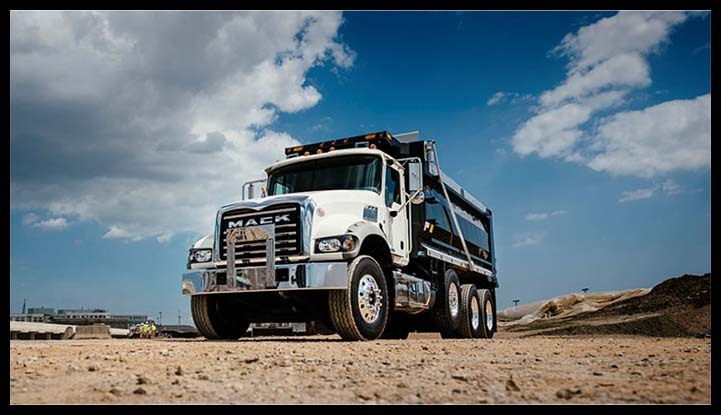 GREENSBORO, NC (Feb. 23, 2018) – Mack Trucks will spotlight the versatility and ruggedness of the Mack® Granite® , the No.1-selling heavy-duty conventional straight truck in the U.S. for four years in a row, at the 2018 Work Truck Show, March 6–9, at the Indiana Convention Center, Indianapolis. Two Mack Granite models on display in Mack booth No. 3527 will highlight expanded options available to customers, which enable greater application versatility. Mack models with Mack engines are supported by Mack Trucks’ industry-leading suite of uptime services, enabled by the fully integrated Mack GuardDog Connect telematics platform. Standard on Mack models equipped with Mack MP® engines, GuardDog Connect continually monitors the truck’s systems, identifying any critical fault codes or diagnostic needs and alerting Mack’s OneCall™ uptime agents at Mack’s 24/7 Uptime Center. Using the Mack ASIST web-based service management system, agents can diagnose issues, schedule repairs and confirm parts availability before the truck arrives at the shop, allowing customers to focus on the needs of their business. GuardDog Connect also enables a new addition to Mack’s uptime solutions. Mack Over The Air, available on Mack models equipped with Mack 2017 and newer engines, delivers software updates directly to customers with minimal interruptions to their operations.